Pictures 6-12, 6-13, and 6-14. Three more 8-bench open cars, all pictured at Soldiers Home. 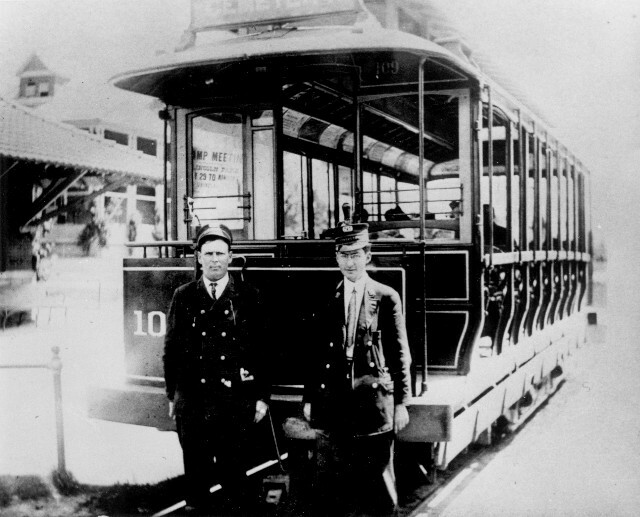 The top picture features an anonymous car, number 10-something, posing with its two-man crew. 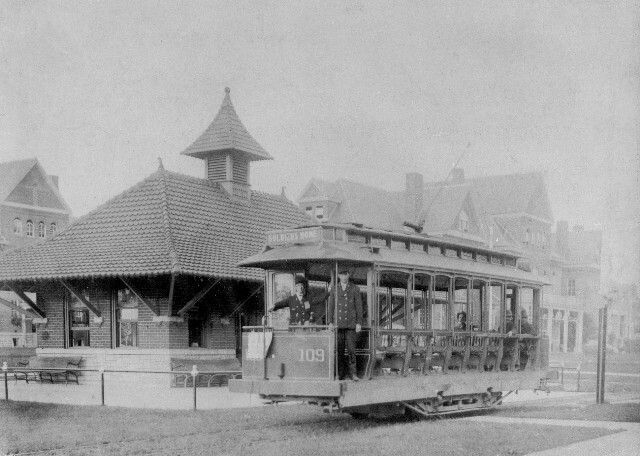 The second picture is of car 109, with its crew in front and a few passengers getting comfortable at the rear of the car. 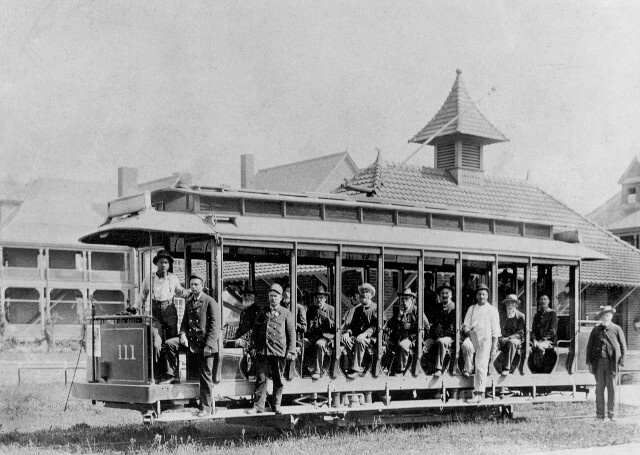 The third features car 111, with the crew standing on the running board, and the seats filled with Old Soldiers heading into town.